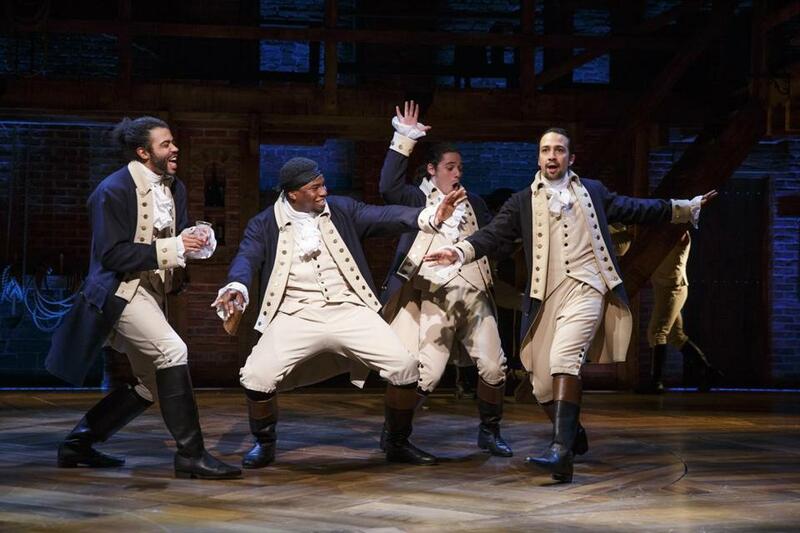 From left: Daveed Diggs, Okieriete Onaodowan, Anthony Ramos, and Lin-Manuel Miranda. It’s pretty much beyond dispute that Lin-Manuel Miranda’s “Hamilton’’ is the definitive musical of our time, a remarkable consensus given that its triumph has unfolded in a polarized environment where almost nothing is beyond dispute. Miranda’s artistry is obviously central to the show’s epic popularity, but another part of what makes “Hamilton’’ such a consequential achievement is that in four short years it has shown an ability to resonate in an entirely different way as the political context has shifted. Even though the show has remained the same, its message — or, more precisely, the way it is received — has changed. In the Obama era, the “Hamilton’’ phenomenon meant one thing; now, in the Trump era, it means quite another thing. Perhaps that’s one yardstick by which to measure creative accomplishment: that, like Shakespeare’s plays, a work of greatness always feels timely, always has something urgent to say, no matter when it is performed. With performances of “Hamilton’’ slated to begin Tuesday at the Boston Opera House, it’s worth tracing the show’s transformation from emblem of celebration to de facto vehicle of protest, as manifested in the relationships — one sunny, one stormy — that this game-changing musical and its gifted, passionate creator have had with successive occupants of the Oval Office. When it premiered in early 2015 with a cast of African-American and Latino actors portraying the Founding Fathers — including Miranda, the son of Puerto Rican parents, as Alexander Hamilton — “Hamilton’’ registered as both a reflection and an affirmation of the nation’s increasing racial diversity and multiculturalism. Not unlike the presidency of Barack Obama. 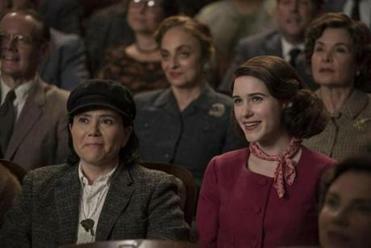 TV critic Matthew Gilbert offers his Emmy predictions and observations. In fact, the “Hamilton’’-Obama connection could be traced back six years earlier. Invited to a White House poetry and music event in May 2009, Miranda did not throw away his shot (to borrow a phrase) but seized the opportunity to give the first public performance of a song from what he then described as a hip-hop concept album about the orphaned outsider from the Caribbean who rose to become the nation’s first treasury secretary. That song would eventually become “Alexander Hamilton,’’ the opening number of a musical that would both depict and make history. Miranda’s audience that day in the East Room included a clearly delighted President Obama and first lady Michelle Obama. It’s not hard to imagine the cerebral, disciplined President Obama — whose father disappeared from his life when he was young, who was raised by a single mother and overcame steep odds to become the first African-American president — feeling some kinship with the figure Miranda was describing in song as “the ten-dollar Founding Father without a father/Got a lot farther by working a lot harder/By being a lot smarter/By being a self-starter.’’ When Miranda was done performing, Obama rose to his feet to lead a standing ovation. Donald J. Trump has been considerably less inclined to applaud “Hamilton’’ or toss laurels its way — and the feeling has been entirely mutual. Indeed, though its creation predates the Trump administration, Miranda’s musical can be seen as the foremost theatrical symbol of “the resistance.’’ Night after night, before thousands of spectators on Broadway, in Chicago, and in the touring production that is now in Boston, “Hamilton’’ supplies a reminder that the United States is a nation of immigrants. The musical provides a louder, not to mention more tuneful, voice of opposition to Trump’s immigration policies than any elected official you can name. Moreover, it means something that at a time when the top elected official in the country has been accused of seeking to sow racial division, the most popular musical in the land — one that tells the story of its founding — showcases an overwhelmingly nonwhite cast. But Miranda was destined to level much sharper critiques at Trump — at first obliquely, then directly. Trump launched his campaign for the Republican nomination in June 2015 with an attack on Mexican immigrants, saying: “They’re bringing drugs. They’re bringing crime. They’re rapists. And some, I assume, are good people.’’ His candidacy quickly gathered steam, and in the new Trumpian context, certain lines from “Hamilton’’ began to reverberate in a different way. Pence listened to the remarks without responding and was photographed smiling as he departed the Richard Rodgers Theatre. But Trump immediately lashed out on Twitter, declaring that Pence had been “harassed’’ by the “very rude’’ cast of “Hamilton,’’ adding: “Apologize!’’ It was an early illustration of Trump’s appetite for revving up his base by wading into culture wars, such as his attacks on NFL players who knelt during the national anthem. The problem for Donald Trump is that “Hamilton’s’’ moment will not be brief. It’s likely to run forever. To paraphrase the famous aphorism attributed to Hippocrates: Art is long, presidencies are short.